Salmon fishing is exciting. From the best angling technique to the best rod to use, there are many layers to salmon fishing that you can get into. Thankfully, you are not alone. There are so many resources available to help us learn how to make the most out of salmon fishing, starting with books. So many knowledgeable authors have poured their expertise into best-selling books designed to help expand the skill and range of fishing sportsmen and women everywhere. Below, we explore some of these books and present you with our top ten reads on getting the best out of your salmon fishing experience from start to finish. 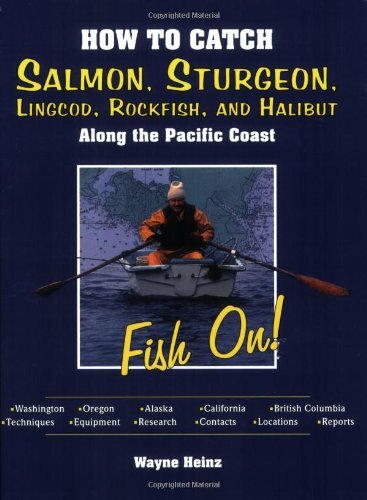 Angling is an integral part of salmon fishing, and Hugh Falkus' book on the topic is considered the standard on the topic. The ideas concerning technique and theory that are presented in the book are innovative and effectively communicated. This is due largely to Falkus' open and practical communication style, supported by the accurate and clear illustrations. 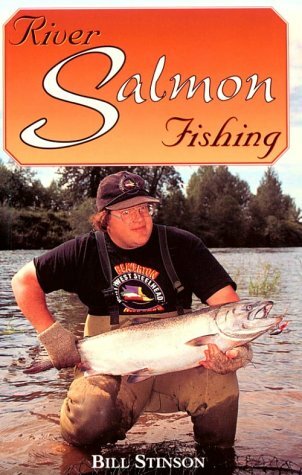 Importantly, his approach to angling for salmon has resulted from his own observation of salmon's behavior, and as such provides a refreshing take on the subject in this book. Throughout the book, Falkus refreshingly explores fishing for salmon with much depth. He unabashedly questions prior beliefs concerning the subject and introducing fresh ideas. All who read this text will find it both an invaluable reference book and a pleasurable read as Falkus' skill as a distinguished writer and filmmaker comes to the fore along with his vast experience as an angler. In a Guide to Salmon Fishing, author Ed A. Rychkun breaks down the subject matter into eight necessities. He guides even the avid angler through the things often taken for granted and does this strategically and starts with highlighting the essential equipment needed. Secondly, there is the need to know about salmon and their habits, followed by being aware of the most effective way to bait and lure them. Knowing the most successful techniques for local fishing. Finally, the guide includes information regarding ideal locations to practice your new found or newly refined skills. 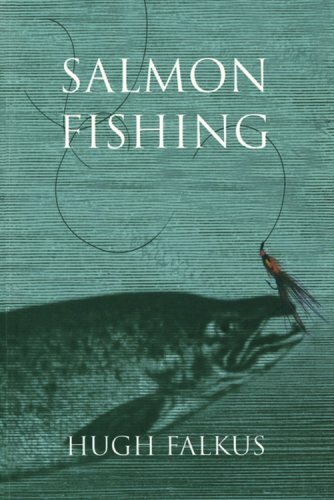 Fishing, whether for river salmon or other fish, is a fun activity and this book of the same name reflects this sense of fun in communicating the essentials of the business. Author Bill Stinson has a great sense of humor and is knowledgeable on this subject matter. Beginners and experienced salmon fishers alike who are interested in getting into the mechanics and preparatory or support features of salmon fishing will find this book useful. In more ways than one, you will see that this book is perfect for helping you to bring more fish in. Novices discovering salmon fishing for the first time and experienced anglers will find this book by Captain Dan Keating to be very useful. Keating pours his 30 plus years experience of chasing big water trout and salmon into this text. Many consider this book to be the authority on fishing in the Great Lakes. Importantly, this latest update, 'Great Lakes Salmon and Fishing' has evolved with the Great Lakes fishery industry and includes all the newest information available. As such, you can rest assured that you are getting the best when you purchase this book. Information includes cutting-edge and time-proven tactics and methods concerning how to locate and catch fish throughout the season, as well as, how to run stealth downriggers, divers, copper, side planners, braid, and more. Keating also shares time-honored secrets on how to interpret the environmental conditions such as currents. Known as the "The Float Fishing Guy," author Terry J. Wiest presents his secrets of success for salmon and steelhead in his book Float-Fishing for Salmon and Steelhead. Both primary and advanced techniques are covered in the text and are presented in a natural, relatable, and easy to understand way. You will be able to find everything needed to master the float-fishing techniques, including equipment, rigging, lures, knots, and so much more in this read. Importantly, a host of fishing techniques for both beginner and advanced salmon fishermen - like bobber dogging and drop shotting. 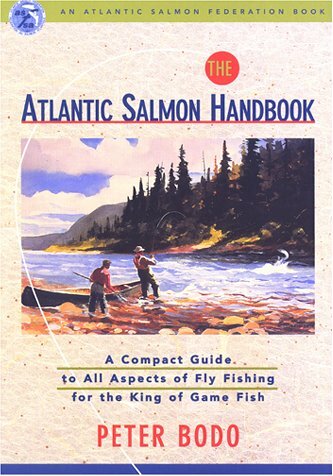 As noted in the description, The Atlantic Salmon Handbook by Peter Bodo is a compact guide to all you need to know about fly fishing. If you like simple, concise, practical communication styles, then this is the book for you. Topics presented in the book include the biology of the Atlantic salmon, salmon country, gearing up for and when to go fishing, the ethics of salmon fishing, and hooking and landing salmon, among others. In addition to informative and well-presented chapters, Bodo also includes a useful appendix that lists catch statistics (listed river by river) and public fishing opportunities. Throughout the book, the author makes use of compelling anecdotes, color and black and white photography, and diagrams, among other features, to communicate everything Atlantic Salmon related. The kinds of fishing experiences we seek can often result in us traveling to various regions. 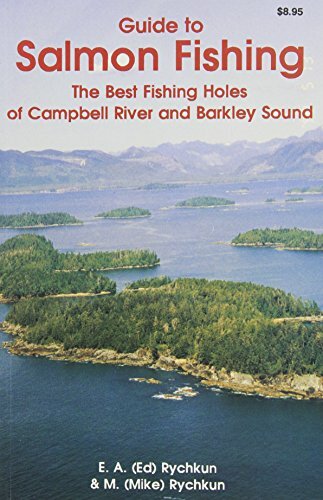 For those of you who enjoy saltwater fishing in areas like Washington, Alaska, British Columbia or Oregon, will find this text to be perfect for you. Wayne Heinz is an extensive resource who highlights all the information needed on best practices and behaviors for catching lingcod, sturgeon, rockfish, halibut, and of course salmon. Even information on using Internet searches, fish reports, and cooking what you have caught is on the agenda. No stone or body of water is left unturned in this one. Most authorities on the subject would agree that productive fishing for Atlantic Salmon must include good fly choice and technique. 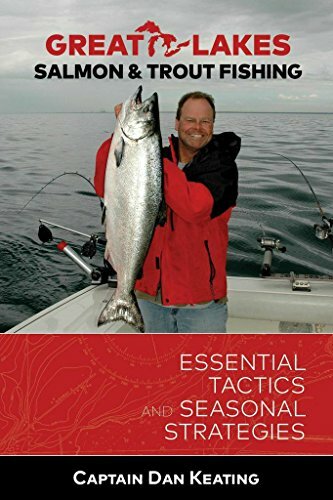 In his book, Bill Cummings adds to the conversation by presenting a scientific and disciplined alternative to the typical hit or miss approach to salmon fishing found elsewhere. Cummings takes the discussion a step further and pairs effective fly choice and technique with environmental factors like stream and climatic. conditions. 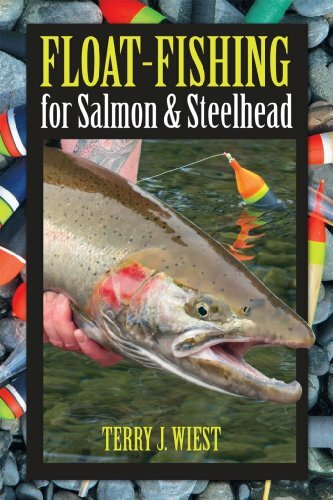 Additional features in the book include full illustrations of angling scenarios and an equally handy section detailing Atlantic salmon rivers located worldwide. 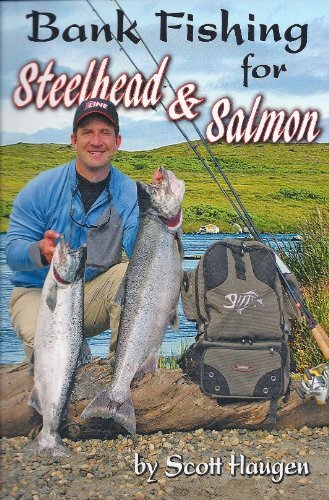 Steelhead and salmon bank fishing is an exciting sport and pastime that is becoming increasingly popular. There is always something to learn and know for both the beginner and advanced participant. In his bank fishing guide, noted author Scott Haugen highlights all the need-to-know details and tips to help you maximize your time spent enjoying this activity. One of the best features of this book is the pre-trip preparatory tips and tricks that anglers get to learn. Activities, such as reading water, researching rivers, and understanding the different kinds of water conditions available, are all tips that the author covers. By practicing these tips, you are bound to save yourself lots of wasted time during your trip and instead get more of a bite out of the experience. Enjoy more successful bank fishing with this book. Enjoy more successful bank fishing with this book. There you have it! 10 of the best reading resources available anywhere on salmon fishing. Whatever your level of experience in fishing, you are sure to be helped by picking up one or more of the suggested reads above. So, go ahead and do just that. Purchase the text that most resonates with you and that best speaks to your expertise and start catching even more salmon today. Remember, that whatever book you choose, be sure to tweak it to your situation and knowledge. ​Remember, that whatever book you choose, be sure to tweak it to your situation and knowledge. Copyright text 2018 by Fish Seekers.